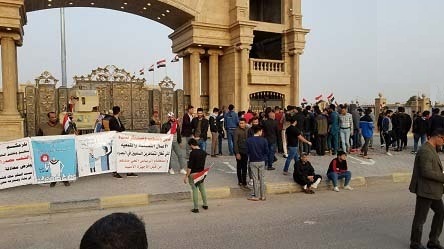 Hundreds of residents of the province renewed their demonstrations in front of the local government building to demand services, a local source in Basra said on Friday. The source said in an interview with / Mawazin News / "The hundreds of people from the province of Basra renewed their demonstrations this afternoon, in front of the building of the new local government in the province." He continued, "The demonstrators confirmed that the series of corruption is still continuing in Basra, and there is no response or solutions to what the province suffers."